This article is about the anatomy of the superficial back muscles – their attachments, innervations and functions. The superficial back muscles are situated underneath the skin and superficial fascia. They originate from the vertebral column and attach to the bones of the shoulder – the clavicle, scapula and humerus. All these muscles are therefore associated with movements of the upper limb. The muscles in this group are the trapezius, latissimus dorsi, levator scapulae and the rhomboids. 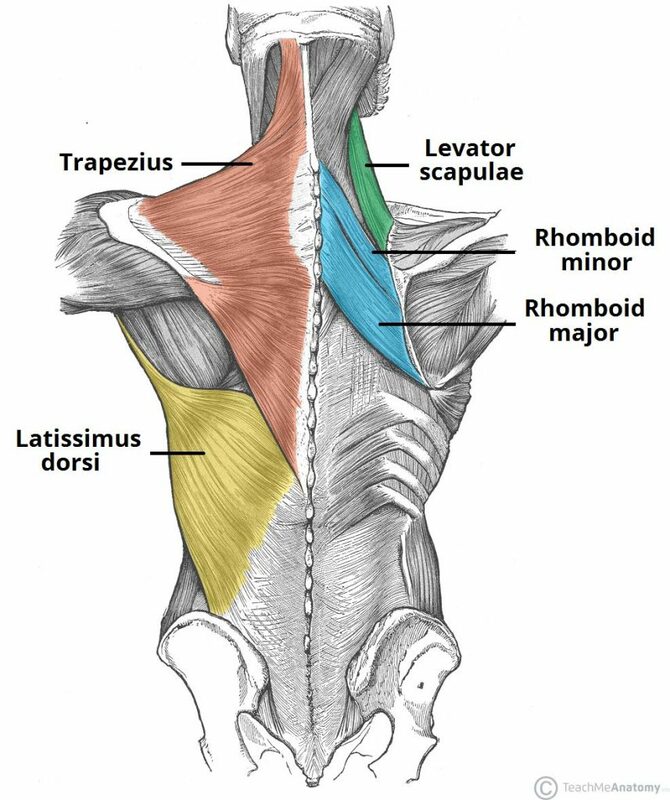 The trapezius and the latissimus dorsi lie the most superficially, with the trapezius covering the rhomboids and levator scapulae. Attachments: Originates from the skull, ligamentum nuchae and the spinous processes of C7-T12. The fibres attach to the clavicle, acromion and the scapula spine. Innervation: Motor innervation is from the accessory nerve. It also receives proprioceptor fibres from C3 and C4 spinal nerves. Actions: The upper fibres of the trapezius elevates the scapula and rotates it during abduction of the arm. The middle fibres retract the scapula and the lower fibres pull the scapula inferiorly. To test the accessory nerve, trapezius function can be assessed. This can be done by asking the patient to shrug his/her shoulders. Other clinical features of accessory nerve damage include muscle wasting, partial paralysis of the sternocleidomastoid, and an asymmetrical neckline. The latissimus dorsi originates from the lower part of the back, where it covers a wide area. Attachments: Has a broad origin – arising from the spinous processes of T6-T12, iliac crest, thoracolumbar fascia and the inferior three ribs. The fibres converge into a tendon that attaches to the intertubercular sulcus of the humerus. Actions: Extends, adducts and medially rotates the upper limb. The levator scapulae is a small strap-like muscle. It begins in the neck, and descends to attach to the scapula. Attachments: Originates from the transverse processes of the C1-C4 vertebrae and attaches to the medial border of the scapula. 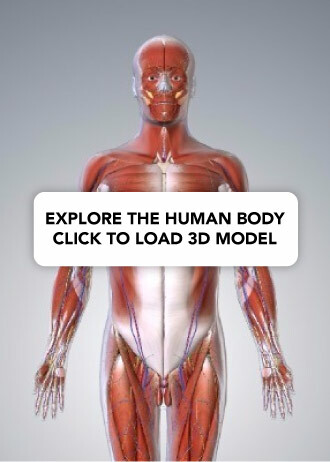 There are two rhomboid muscles – major and minor. The rhomboid minor is situated superiorly to the major. Attachments: Originates from the spinous processes of T2-T5 vertebrae. Attaches to the medial border of the scapula, between the scapula spine and inferior angle. Attachments: Originates from the spinous processes of C7-T1 vertebrae. Attaches to the medial border of the scapula, at the level of the spine of scapula. Which superficial muscle of the back is most important in allowing a shrugging motion? Which superficial back muscle specifically originates from the T2-T5 spinous processes? Which of these nerves innervates latissimus dorsi?